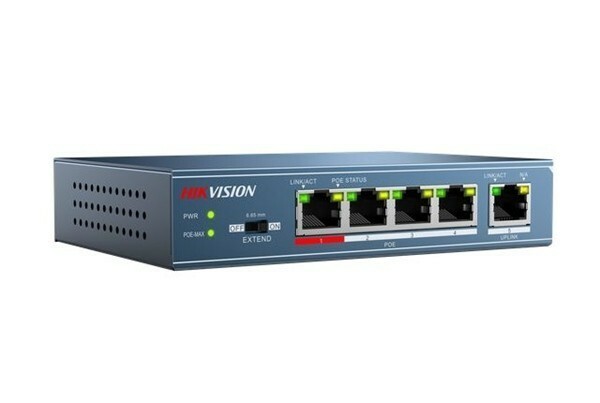 The special CCTV switches from Hikvision are designed to optimally set up your network. CCTV switches are equipped with a built-in range extender, giving you a whopping 250m range with your PoE power supply! You reach these distances by using CAT6 cabling. In addition, the switches are equipped with a 4kV overvoltage protection. Because cameras are often mounted outside, it is very important that the switch does not short circuit by one overvoltage on one of the cables and puts your camera network flat. In order to be able to process all data packages of your camera without loss of packages, a buffer is necessary. Hikvision CCTV switches have a buffer for this, making the switch optimally arranged to bring camera images to the recorder without loss.